Need To Restart Your Inverter And Not Sure What To Do? 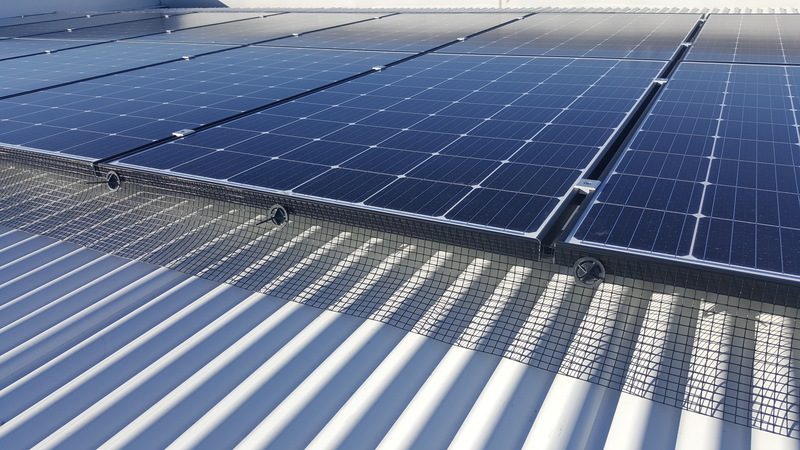 Sometimes it is good to manually shutdown and restart your solar inverter, or reboot, as it may be called. You may want to do this if you have an error message on your inverter, or just to check that all the switches are on, as sometimes they will go off for no apparent reason. Hopefully you have a user manual from the company that supplied your inverter, but if you don’t just follow these steps. Switch off the AC isolator. You will always have one in your switchboard, or meter box, and you may also have one by your inverter. 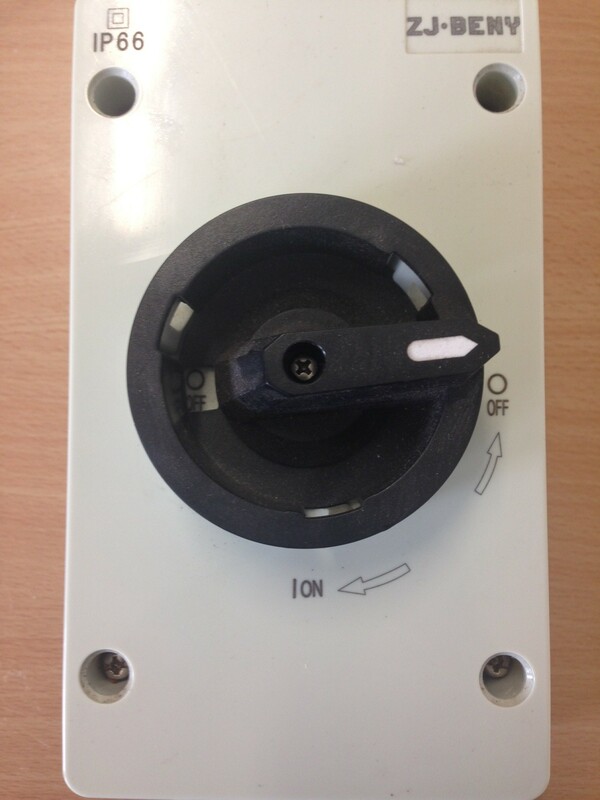 This could be labelled up as ‘AC switch’ or ‘Solar Supply Main Switch’. Switch off the DC isolator which should be located underneath the inverter. The screen should go blank, and the lights should go off. Leave it like this for 5 minutes or so, and then switch back on. It is very important that you restart by switching the DC isolator on first, as you shouldn’t switch DC under load (ie with the AC on), as the isolator could arc. Put the AC switch (solar supply main switch) back on, and then wait. All inverters take at least one minute to restart, and you may see the lights flashing while the inverter does internal testing. There will also be a variety of messages on the screen again as it tests. This is quite normal. Here we have 2 DC switches and one AC switch, all in the same box under the inverter. If you look at the bottom of the switch there are little windows showing either red or green. Most people when they see these, think of traffic lights, and that green is ‘ON’ and red is ‘OFF’, but that is not the case. 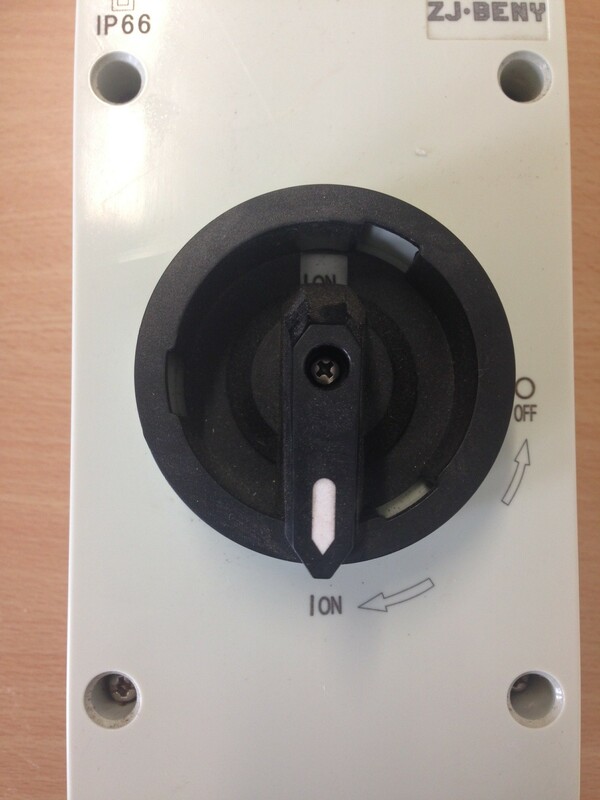 These DC isolators you see here are not often installed now. The screen of my sunny boy inverter SR 5000 / 5Kw gone blank with green light on, I tried to switch off and back on, still the same. What does a status message of ” OV-BUS” on an EKO5000 inverter mean ???? Hello Dennis, this means ‘Over DC Bus Voltage’. Try rebooting your inverter, leaving it off for 5 minutes before restarting. If you still have a problem with it go back to AGL who would have sold it to you. The EKO inverter is the same as the Solis, so you can find information on a Solis user manual. 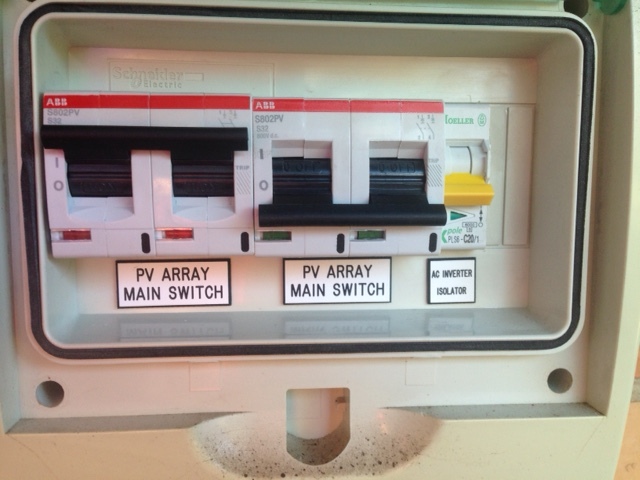 The Solar panel box shows all 3 lights operational, earth fault and error. The switches have been reset with no change. Our sunny boy inventor is not operating and the green light is out? Hi there, found your instructions easy to follow, even at 7:30 on a Sunday morning… Thank you, Tracey. Ran through your reboot procedure for my Growatt 5Kw system. Now back up and running. Been away for over a month so will probably have to cop a $1000 bill for this quarter but can’t do nought about that. THANKS. read-out saying RESO -LOW. What can I do?? Thank you from Southern California !!!! 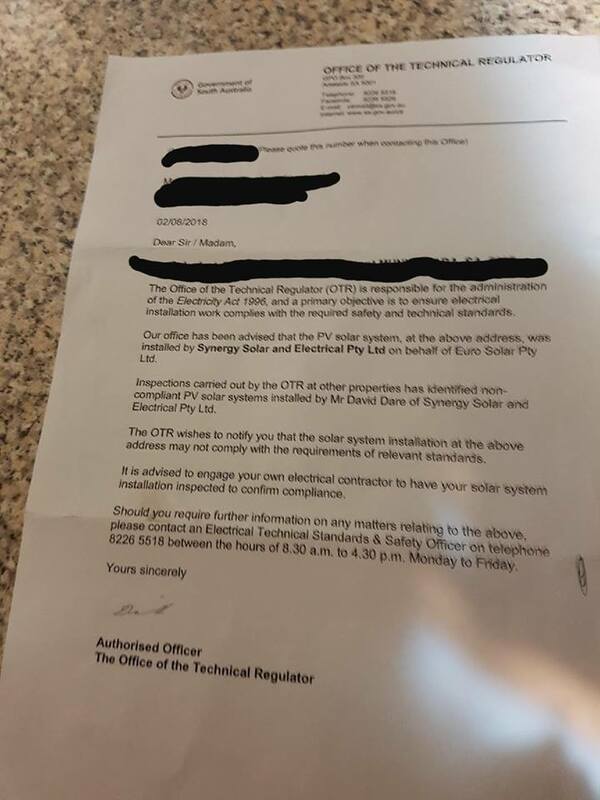 I bought my home in 2015 and it came with a 2009 solar set up that included a PowerOne Aurora Magnetek PVI-3600-OUTD-US-F inverter that goes offline VERY FREQUENTLY. The order of operations you’ve provided seems to the be the secret code to bring it out of the endless V grid out of range / F grid out of range loop and back online. I wish I’d found this two weeks ago, when solar was offline and it was 115*F Thanks! Can you help please? Our Solax inverter has just recently been connected to the grid, but the feed in (blue line) always registers zero. I know that we use most of the power we generate, but shouldn’t we be feeding in some power occasionally? Do I need to restart the inverter? Hello Peter, your inverter will not know if you are feeding in to the grid or not, only your meter will know that. I suggest you check on your meter to see if there has been any exports. Depending on you meter it could be menu 9 or 13. Can you help please? We own a 2013 Aurora 5 kw Inverter. My wife saw that one of the connectors was hanging down a little from the others and push it back into place. In doing so there was a noise and the display panel went blank so we switched the Inverter off using the instructions on the Inverter cover. We had an Electrician come around to fix the problem. He removed the lose connector and the other 3 along with it. He said we did not need them for our solar panel setup. When he switched the Inverter on, the display panel did not come back on and the Inverter was not working. He check for power coming through, all good, 240 volt, checked DC power from panels, all good, check Inverter Terminals, all good. Still the inverter did not turn on, and he is not sure why. I am no electrician but could it be something as simple as the procedure of restarting the Inverter as you explained on this page? Thank you for your speedy email reply, very much appreciated! !